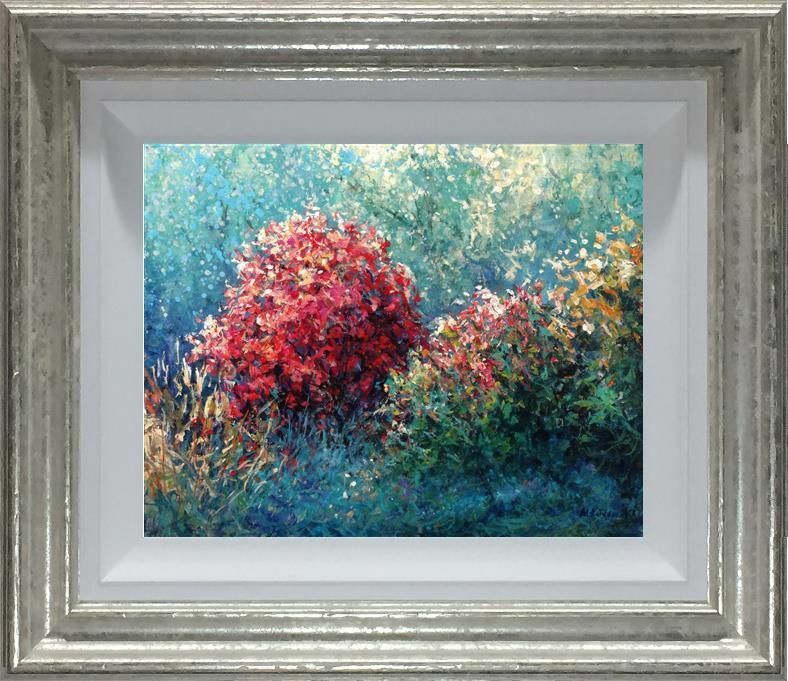 Camellia Red Bush by Mariusz Kaldowski framed original painting. Mariusz Kaldowski was born in 1962 in Poland and he graduated with an MA from the Academy of Fine Arts, Kraków, in 1987. He is a painter, a print maker and a graphic designer. 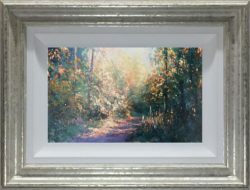 His skill for capturing the natural world has been recognised by numerous awards, including; the Award for ‘Expressing the Essential Spirit of Holland Park’, in addition to the editor’s choice of ‘The Artist Magazine’ and the ‘Nina Hosali’ First Prize of the Free Painters and Sculptors Society, both in 2006. Mariusz Kaldowski was born in 1962 in Poland and he graduated with an MA from the Academy of Fine Arts, Kraków, in 1987. He is a painter, a print maker and a graphic designer. Mariusz Kaldowski’s skill for capturing the natural world has been recognised by numerous awards. 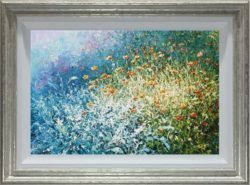 To name a few, the Award for ‘Expressing the Essential Spirit of Holland Park’, in addition to the editor’s choice of ‘The Artist Magazine’ and the ‘Nina Hosali’ First Prize of the Free Painters and Sculptors Society, both in 2006. 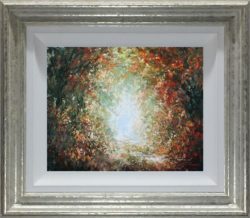 Kaldowski is known for his work of natural scenes and landscapes which seem to possess an ethereal quality and have been likened to the work of Monet. In addition to these subjects, the artist occasionally explores other avenues including cityscapes and paintings which illustrate classical music. In 2000 he completed a frieze, entitled ‘Four Seasons, Four Stages of Life’, as a visual expression of Vivaldi’s music. This frieze shows life as part of the classical performances of the Polish National Radio Orchestra and has been featured on Polish National Television.